NHL coach who won a Stanley Cup with the Dallas Stars in 1999. He became an assistant coach for the Philadelphia Flyers in 1990. 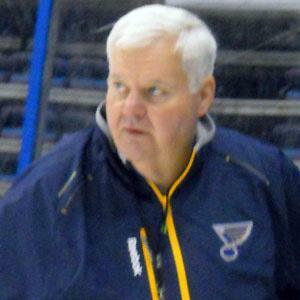 He became the 11th NHL coach to reach 600 career victories in April 2013. He has three children, Emily, Alex and Noah, with his wife Nancy. He coached All-Star center Mike Modano on the Dallas Stars from 1995 to 2002.